“Catch 22” is a phrase that most of us recognize. It refers to a satirical novel by Joseph Heller (and later a chilling movie) about flight crews operating from North Africa during World War II. Casualty rates were so high among these fliers that some of them considered trying to be eliminated from duty on grounds of insanity. But one of a long list of “catches” standing in their way was the idea that if you were sane enough to recognize the insanity of the war you were flying into, then you were sane enough to fly into it — even if you didn’t come home. “The vast majority of opioid users do not become addicts. Users’ chances of becoming addicted increase if they are white, male, young and unemployed and if they have co-occurring psychiatric disorders. That is why it is critical to conduct a thorough assessment of patients entering treatment, paying particular attention to these factors rather than simply focusing on the unrealistic goal of eliminating opioids. I found Dr. Hart’s paper to be profoundly on target. So I looked him up online to send a note of appreciation (Scientific America doesn’t invite comments by non-subscribers). I congratulated him on a well reasoned and supported narrative. I also suggested that he might lend his voice to forcing the US Centers for Disease Control to retract and rewrite their enormously destructive and ill-founded opioid prescription guidelines of 2016. My friend is a chronic pain patient who recently learned that her doctor of nearly ten years is leaving the practice of pain management years earlier than he’d intended, saying he was “ANGRY” and had “had enough”. Enough hounding by regulators, she has to assume he means. She’s now paralyzed with fear. Canadians are being deserted and abused in much the same manner as Americans, because of their version of our CDC prescription guidelines. In Canada, enforcement of restrictive policy is managed by medical colleges rather than by Health Canada, but the result is the same: patients are being coerced to taper off pain medication they may have been on for decades or outright discharged without medical support. My friend has tried every pain management doctor nearby, as well as every family practitioner. (Most family doctors will no longer prescribe narcotics in any case, and other pain specialists are closing shop too. In the last two or three years, half the pain practices in her province have closed.) She’s also looked right across Canada, but no one will take her as a patient. She’s even looked in the U.S., where she has friends who are alarmed for her, and as far away as Europe. She has a lot of company among other frightened, desperate, and abandoned patients in her hometown, and across Canada. Pain clinics are now flooded with new referrals, and most won’t consider patients who “simply” need their prescriptions renewed. Typical wait times to be seen at a Canadian pain clinic are at least two years and in most cases far longer. Adding to the credibility and poignancy of my friend’s comments, she briefly described her situation to Dr. Hart in her letter. And here’s where the Catch 22 came in. An hour after she hit the “send” key, there was a thunderous knock at her front door. When it was opened, she was greeted by two uniformed police officers who informed her that they were there to conduct a “wellness” visit. Dr. Hart’s office administrator had contacted police concerning a potential suicide victim who might be “insane” (a word used by the officers). In another hour of interview, they learned quite the contrary and went away shaking their heads. Her story is quite well known by friends and even by Canadian national media. She is by no stretch of imagination anything less than clear-headed and utterly sane. She is instead being persecuted and tortured by her own government—to which her college (like all the others) is accountable. We cannot blame Dr Hart’s staff for doing anything wrong. They didn’t. Under US law, the doctor could be prosecuted for facilitating suicide and barred from professional practice as a psychologist, if his administrator had done anything less. This is the law in both countries. And it is yet another “Catch 22”. Our government is willing to unleash the DEA to drive pain management doctors out of practice by the dozen. But they’re not willing to wake up and smell the coffee on addiction and chronic pain, as ably portrayed by Dr Hart and many others. About the Author: Richard A. Lawhern, Ph.D. is a technically trained non-physician with 20 years of experience in peer-to-peer patient support groups for chronic pain patients. 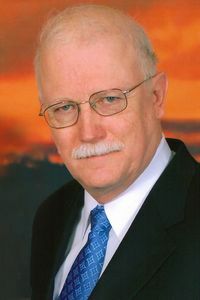 His work and commentaries have been published or featured at the US Trigeminal Neuralgia Association, National Pain Report, Pain News Network, The American Council on Science and Health, The Journal of Medicine of the National College of Physicians, the National Institutes for Neurological Disorder and Stroke, Wikipedia, Mad in America, Psychiatric News and other online venues. This is a reprint of a National Pain Report article found here, used with permission. Red Lawhern is a facial pain advocate, helps people learn to use the internet for searches, has a classic article on how pain is not “all in your head“. In some respects, we are a little more fortunate in Canada – we don’t have to deal with DEA agents breaking down doors and putting doctors in jail, and rarely with the capriciousness of private insurers who limit you to 7 days of medication. Instead, we have the college of physicians and surgeons in each province who have ultimate authority over whether a doctor continues to practice medicine or drive a cab. Doctors here have no problem telling a patient that their license is more important than their patient, and when the college says “back off on opiates”, doctors comply. I commend Red for shining a light on this barbaric practice. A lot of pain patients are pushing back, but it’s an uphill struggle. The real reason for the scorched-earth anti-opioid policy is always about money, but in Canada it’s almost assuredly about making way for legalized cannabis, but in the US it seems more like insurance companies and rehab centers. Great insight and thank you. We have many Canadians joining FB and Twitter to advocate. Find us @TheRebelPatient @ChronicLifeDiet @arandamdphd on Twitter and bless You! And thank you for all you do, too! You’re awesome and amazing too! Margaret, I appreciate your dissemination of pieces like the one above. With you, I am working to change the dominant public narrative and bring balance to US National policy for pain management and addiction.